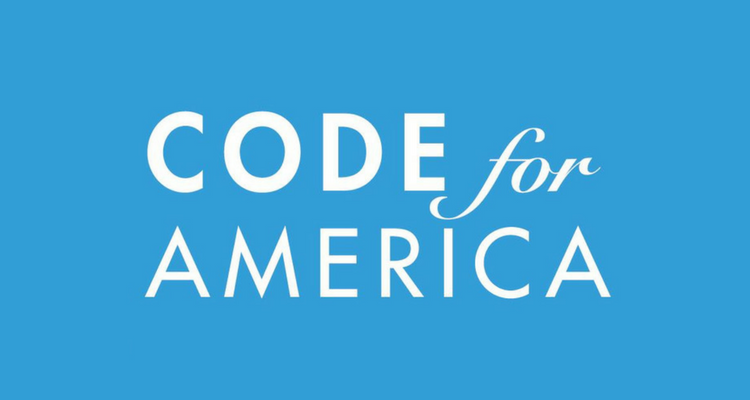 Founded in 2009 to help bring cutting edge technology and design standards to the public sector, Code for America has evolved and expanded to now include a fellowship, a nationwide brigade, a civic tech accelerator, government innovator peer network, and more. Leading a paradigm shift across our oldest institutions is no easy feat. You must be able to imagine things that have never been seen before, and believe in their possibilities. Code for America is a leading voice in the govtech community because they’ve blown the top off what we believe is possible through innovative public sector technology and practices. 1. Governments deserve world-class technology and design standards. Governments need cutting edge softwares and tools designed with them in mind. With little inspiration from traditional government vendors, many new govtech product designers are looking to the world’s leading technology platforms to help inspire and hold them accountable to the best the world has to offer. 2. Cross-sectoral partnerships are key to efficient innovation. Not only do governments need good tools, they also need good partners. ‘Vendor silos’ will soon become a relic as more governments choose companies and nonprofit partners based on their collaborative values — Do they listen to us? Do they incorporate our feedback directly into their product development? Do they help connect us to a community of other users? The nature of cloud-based software means faster development and real time updates. This means government customers now have the opportunity to actively partner with their vendors and help shape the future of the products they use every day. 3. Local governments can be a breeding ground for innovation. During World War II, the phrase ‘good enough for government work’ was the highest of praise–akin to ‘passing the most rigorous of standards’. While rarely leading news headlines, local governments hold a unique position to engage and improve the lives of their community members from the ground. As governments plan around the future of technology, trends, and best practices, they are once again instilling trust in our public institutions. As part of a rising modern govtech movement, these values motivate every part of the work we do and products we create at ViewPoint. That’s why we are proud to be sponsoring the 2018 Code for America Summit next week in Oakland. Our Chief Technology Officer, Alex Pajusi, will be speaking on a panel with members from the public and nonprofit sectors on Collaborating in Modern GovTech: The Power of Cross-Sectoral Partnerships. If you’ll be attending the summit (May 30th-June1st), we’d love for you to join the conversation or stop by our booth. If you can’t make it, please follow up with us to learn about key takeaways from this year’s summit!